Lemond Catering and Events is one of Houston’s premier Full-Service Catering and Event Production Companies specializing in on-site and off-site catered events. The company was started back in 1959 by Chef Martin’s grandmother Emelda Lemond. 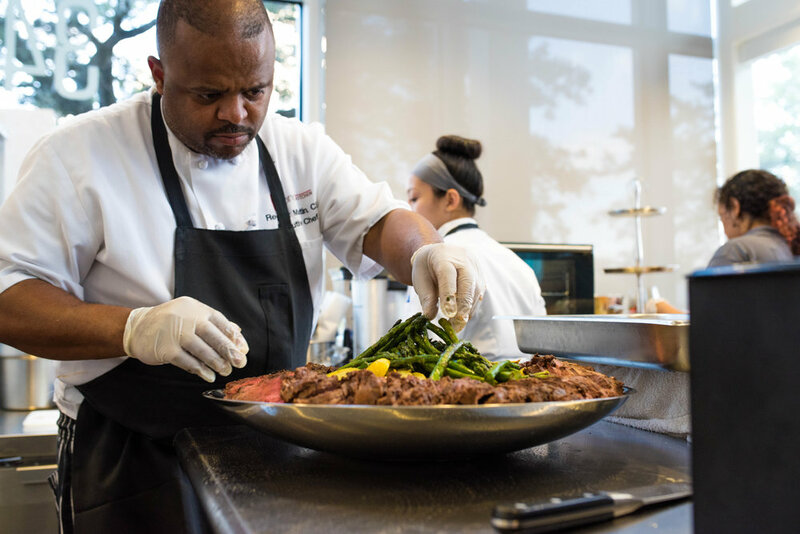 Chef Martin is a third generation caterer who works hard with his business partner and wife Merinda Watkins-Martin to provide excellent food and service to all our clients. We can provide onsite kitchen setup with our mobile kitchen as well as full alcohol beverage services anywhere in the State of Texas. Whether you are planning a Corporate Event, Social Gala, or a Gourmet Wine Dinner at your home, we have the experience and skills needed to execute your event flawlessly. We also provide high quality and affordable corporate catering. We have designed an extensive list of menus designed specifically for our corporate clientele. The menus range from continental breakfasts, box lunches, party tray to full service events with onsite chef services. Our current customers include major oil companies and law firms as well as universities and public schools. We are also proud to announce our new partnership with MATCH. "WHERE GREAT FOOD IS JUST THE beginning"
Lemond Catering and Event has received numerous reviews in the Houston Chronicle, Texas Monthly and Houston Magazine. Our best reviews come from customers who continue to support us year after year and recommend us to their friends and family. Visit our event page by clicking the button below. Lemond kitchen products now offered at Bering's.